My job is making me fat! Most people I know who work in an office always say “Ever since I started working in an office, I’ve been gaining weight.” After working in an office for 8 years my husband is even saying this! It seems obvious on the surface, you sit at a desk for 8 hours and that doesn’t burn a lot of calories. It does nothing good for your core and I’m convinced it makes your bum wider. Pile on eating at your desk, minimal exercise, late nights and early mornings in the office and you can easily pack on the freshman 15 you avoided in college (or the second round for all of us that didn’t avoid it). Your office mates are always celebrating something, right? 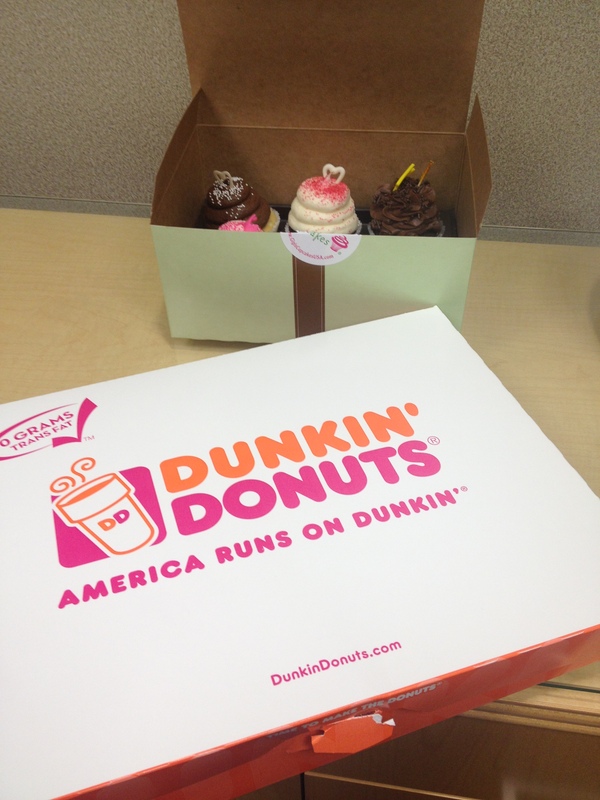 Potluck this week, birthday cake next week, good-bye donuts for the intern and congrats cupcakes for the boss man. Oh you have some sodas left over from your event? I shouldn’t, but I’ll take one. Ice cream social? I guess I can go to that. C’mon guys, we are getting out of control! All of these examples come so easy to me, because they just happened for me and my husband. All of my co-workers agreed that this past week was a bust after all of our sweet treats and caffeinated beverages, yet we WILL do it again. We celebrate birthdays, anniversaries and accomplishments with lunches. We treat ourselves with donuts when we’ve had a long week together. It’s a cycle that we need to break. What can we do? Where do we start? How about that wellness plan you keep pushing on your employees? Let’s start by participating in that. Our company also has a fitness center on site (it happens to be less than 25 steps from my office door so I really have no excuses here) and if yours does you should use it. When I started working where I am now I wasn’t sure if I should use the fitness center, seeing as I’m HR and I’m sure no one wants to work out with HR. Seriously though, we are employees too (even though I know employees forget that sometimes, but I digress), so yes we can use the fitness center and participate in the wellness plan. Not only are we employees, but as pushers of these benefits we can set an example by using them. I’m no wellness expert or personal trainer, but I know a little encouragement goes a long way. You should connect with people who do similar work to you and still make time for a healthier lifestyle. Anyone can encourage you, but I think it’s important to see other professionals in your line of work as well so you can’t make excuses about it being your works fault that you are slowly but surely getting out of shape. Easy way to find a little motivation from some of your HR peeps getting in shape? Do a quick search for the hashtag: #hrfitcrew or my buddy @newresource most recent: #hrtryingtogetfitcrew. I look forward to others posts and posting myself; mostly on instagram, but you can pick your social media outlet of choice. Follow me on instagram and we can #hrfitcrew together: hrecruit. Is this short list a little overwhelming for you? Pick one at a time to conquer. Author Kristina H. Minyard, SHRM-CP, PHRPosted on August 4, 2014 August 3, 2014 Categories UncategorizedTags #hrfitcrew, healthy, lifestyle, office, wellnessLeave a comment on My job is making me fat! 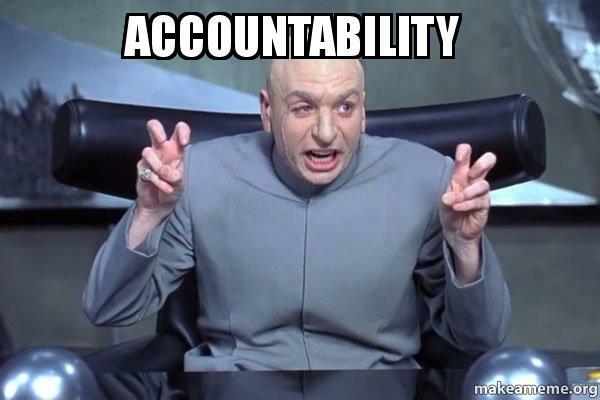 One of my favorite things about being connected to other professionals online is the accountability it brings. I am an advocate for connecting to other professionals and exchanging stories and best practices. As fast as the world moves these days no one should be spending time reinventing the wheel (and believe me our problems are not as unique as we think they are). I’m connected to people from all over the country through this blog, my Facebook, twitter, Instagram, g+ and I love it. I read what they are sharing, I call on them for advice, we call on them as a chapter when we need some great speakers, we solicit invitations to write for each other and encourage each other to be better professionals for our businesses. It also holds me accountable for my recruiting. I’m connected with recruiters that are far more experienced than me so when I do a lame post to catch the eye of job seekers and then call those experienced recruiters to complain that I can’t find anyone for this position, they are going to call me on my crappy work. I can’t hide what I’m doing if there is an electronic trail of everything I’ve published right? Sometimes we like to tell our side of the story when we are complaining, venting or presenting information but if it’s online there is no getting around what was said (or wasn’t said). No sugar-coating or pretending I gave it all my effort if there is proof that I didn’t. You can use social accountability for any and everything these days. Seriously, there are groups for like every single thing. I also use it for fitness. I follow people on Instagram that workout like beasts every day. We look forward to seeing each other post about our workouts and we encourage each other to keep going. It’s a wonderful thing to see that someone you follow did a killer workout even when they didn’t want to on the very same day that you are considering skipping your workout. The cool thing about using twitter and IG (and FB even though some people think otherwise) for accountability is when you use a hashtag (not a pound sign Juanita 🙂 ) for your group to track! I’ve found one that combines my HR world and my fitness world. Wait for it…wait. for. it. : #hrfitcrew (Thank you Chris for kicking that off!) I totally found this by accident, but I love that its other HR pros getting fit and encouraging/challenging each other. I know this makes me sound like a huge dork, but it’s perfect for me.